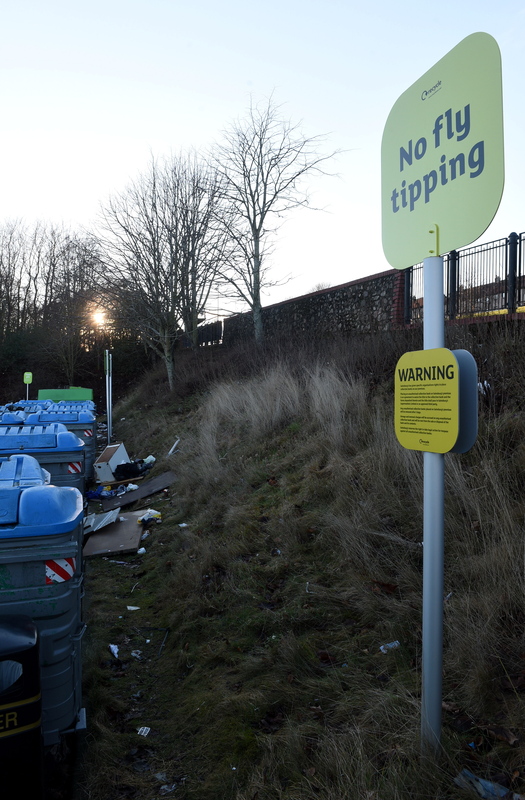 A clean-up operation was launched over the weekend after “thoughtless” individuals dumped heaps of rubbish just yards away from a “no fly-tipping” sign at an Aberdeen supermarket. Cupboards, shelves and even a trampoline were brazenly unloaded by the bins at Sainsbury’s in Garthdee late last week. The unsightly mess was left next to a bright yellow sign which clearly stated “no fly-tipping”. Concerned local, Barry Erskine, said: “I was shocked at the mess left by thoughtless individuals. Last night, a Sainsbury’s spokeswoman confirmed that the rubbish had been cleared and pledged to act to prevent it from happening again. She said: “We have worked with the council to clear the items as quickly as possible. The detritus scattered at the spot also included a bedroom cabinet, wooden panelling, polystyrene packaging and several boxes of unopened Christmas chocolates. He said: “There is no excuse for fly-tipping. “People have access to domestic waste and recycling collections. In recent months, Aberdeen City Council has been tasked with clearing up items including baths, sofas and kitchen appliances. 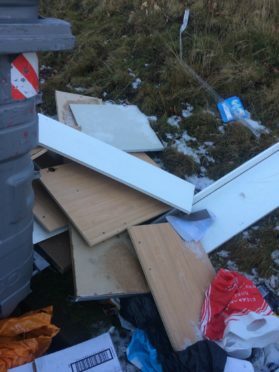 Across six months last year, 4,000 incidents were reported to the council in regards to illegally dumped items – with Aberdeen classed as the fly-tipping capital of the north. 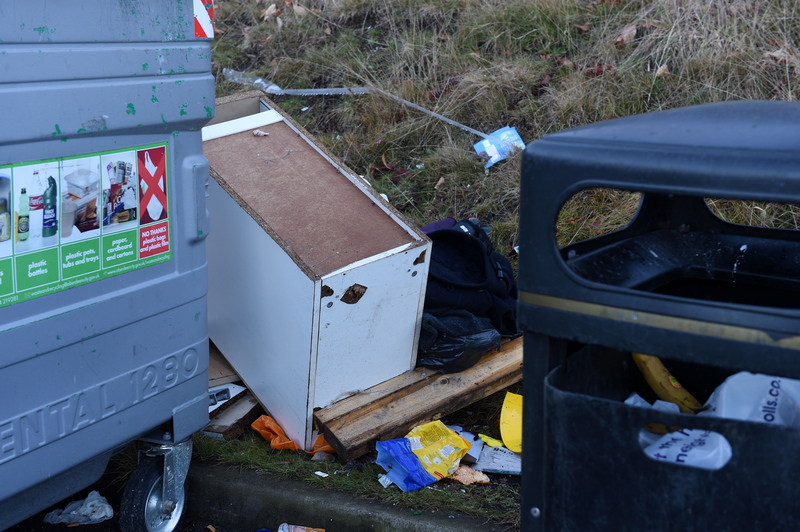 Reports in the city comprised 85% of all fly-tipping complaints made across the region and averaged out at 20.35 complaints about the anti-social practice per day.